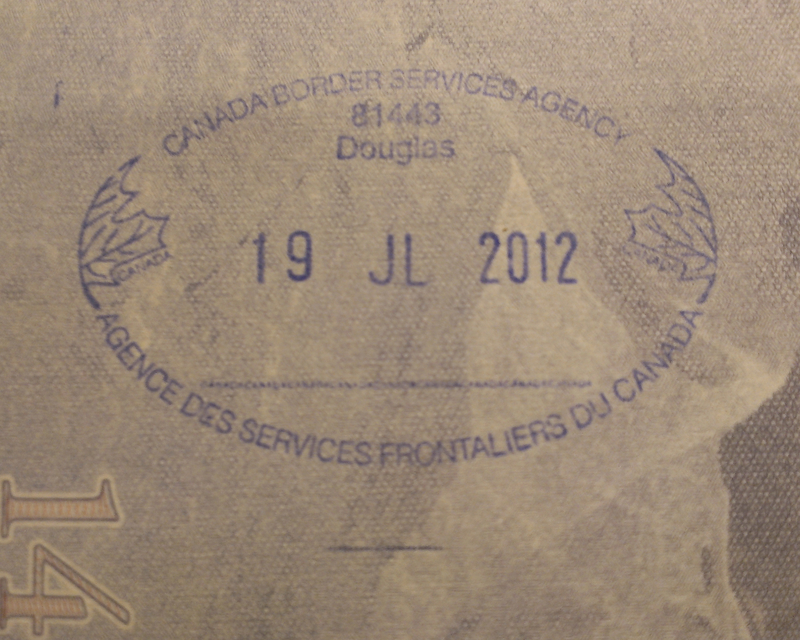 Although my father’s family hails from Canada, growing up I never had a great desire to visit. After all, we share the same continent and language – couldn’t be very exciting, right? Oh boy, was I wrong! Since spending some time in Vancouver last year, I am ready to move there! That’s how much I fell in love with this city! The only thing I regret about visiting was not staying longer!! There is so much to see and do there and I really only scratched the surface! 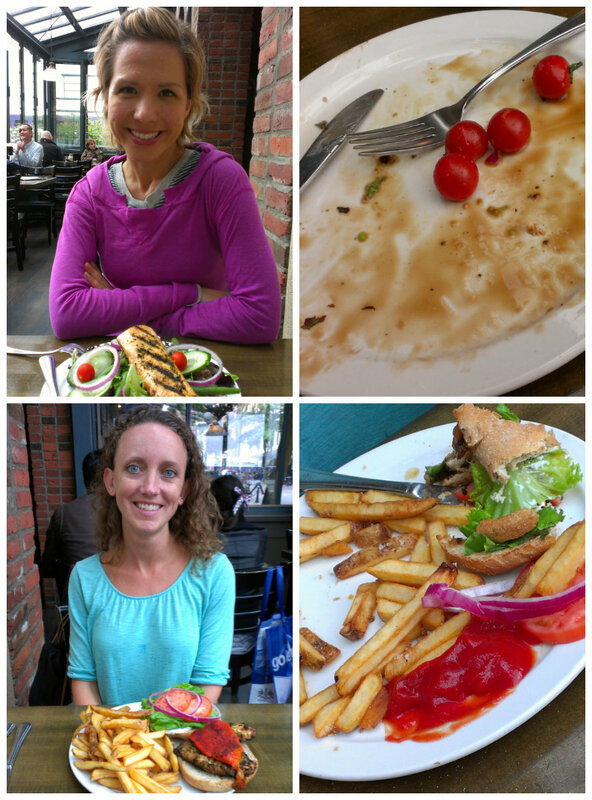 I visited with my friend Teresa, and we drove to Vancouver from Seattle. Not a bad drive although we did hit some traffic once we crossed the border. 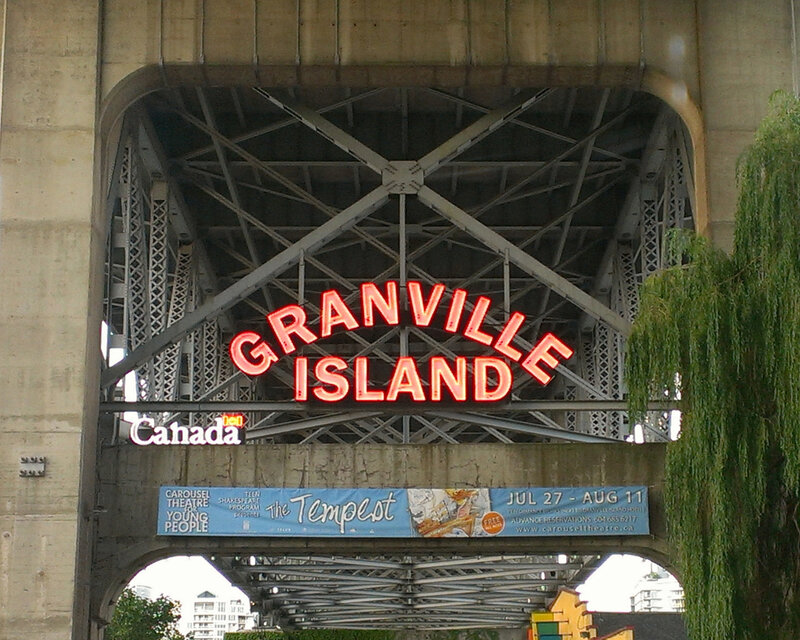 Our accommodations were located on Granville Street, south of the city and Granville Island. Very convenient for driving into the city or hopping on a bus. We were able to find a free parking lot (and more importantly, an empty parking spot!) near the water and Bridges Restaurant. We took our time and walked around the island checking out dining spots and menus before settling on the first place we looked at – Bridges! Best choice we could have made! 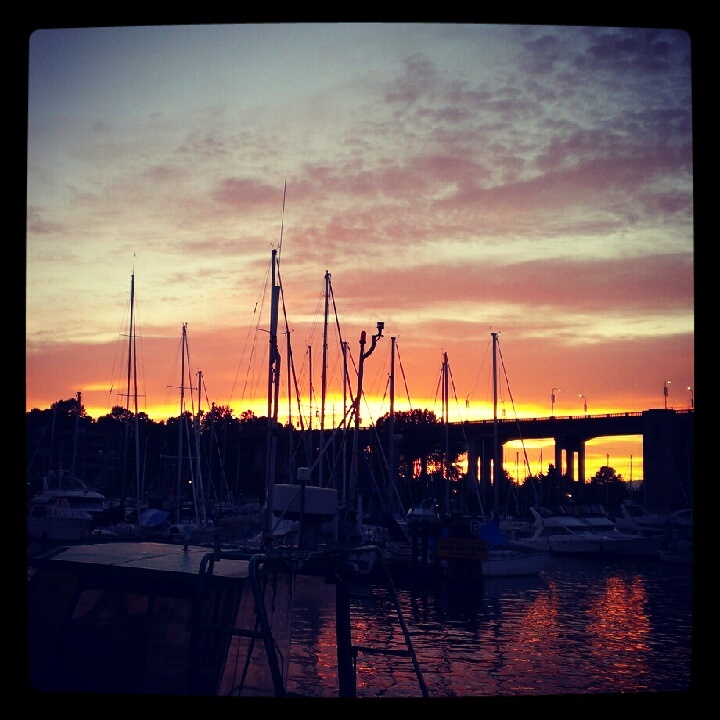 We sat outside by the water with a ridiculously beautiful view of the sunset. I decided to forego my usual veggies-heavy meal for the time being and had a wild sockeye salmon burger with fries – and it was worth it!!! YUM!! Teresa was kind enough to take over the healthy meal eating for me and had a watermelon-feta salad. 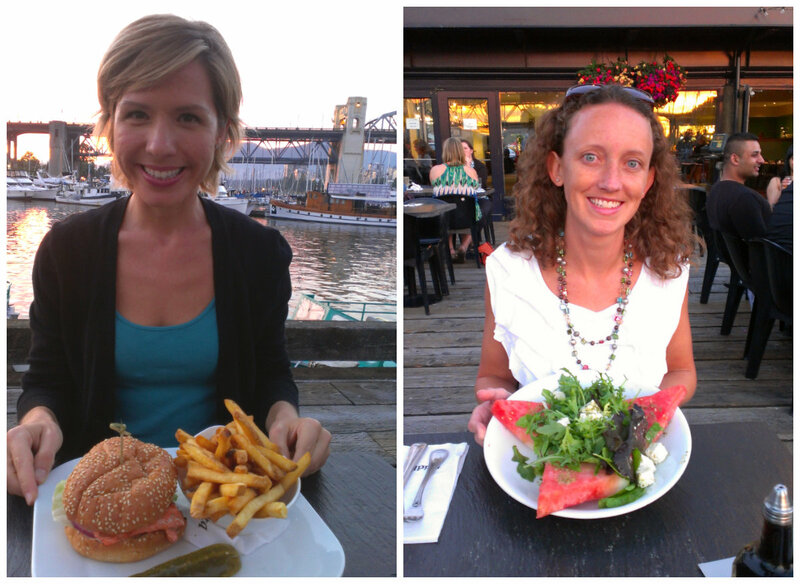 We thoroughly enjoyed our first meal in Vancouver with the wonderful food and lovely setting! 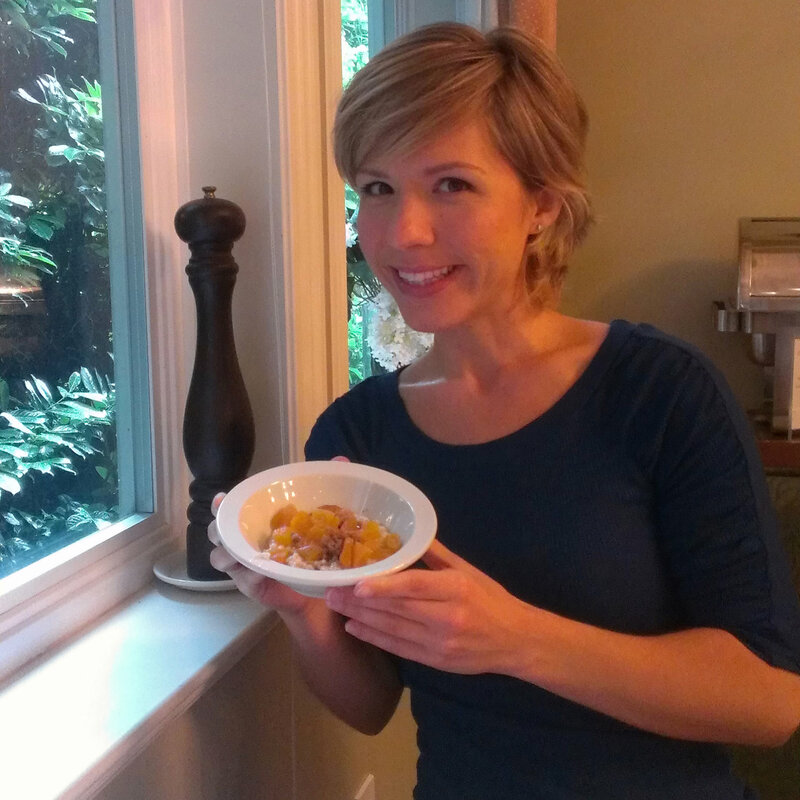 Our first morning in Vancouver started with a much-anticipated and much-enjoyed breakfast! Let’s just say that I am now OBSESSED with slow-cooked, steel cut oatmeal (and that pepper mill, apparently). After breakfast, we headed out to start exploring! Since parking can be a bit pricey in the city, we decided to take the bus. There was a bus stop right by our B&B and it was a straight shot into the city. We got off near the end of Granville Street and walked toward the water (we Floridians are always drawn toward water 🙂 ). We spent some time just walking around, getting our bearings, and trying to stay warm and dry as the weather had changed drastically from the day before. 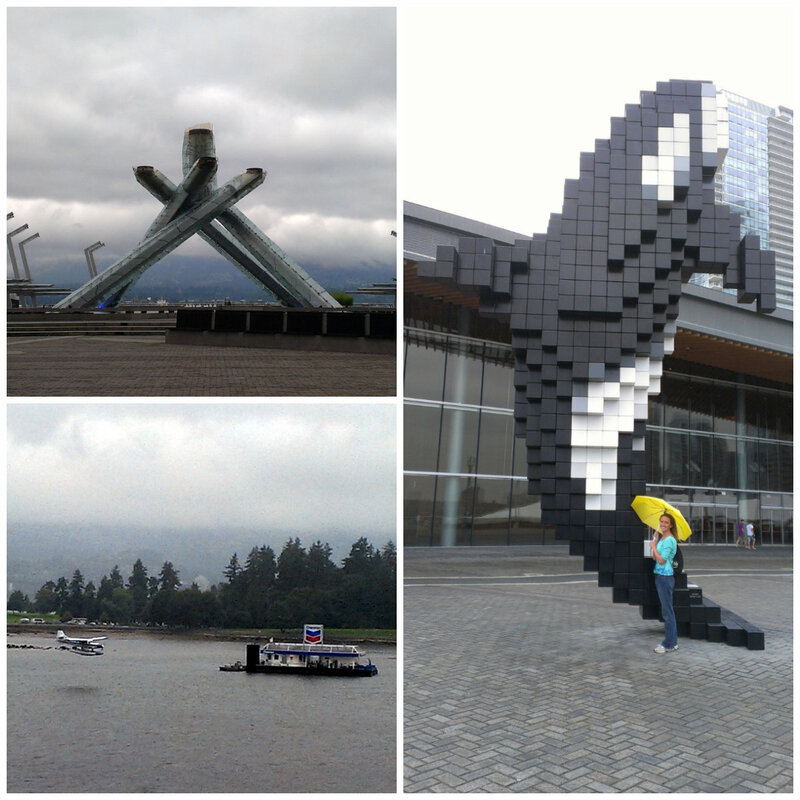 We checked out the Olympic torch from the 2010 Winter Games, watched the seaplanes flying in and land on the water (someday…) and visited the all-important Tourist Visitor Centre (after my trips to Europe, I’ve come to consider these my very helpful friends!). From there we headed toward Gastown. What a fantastic district of downtown Vancouver! I absolutely loved it! Gastown is one of Vancouver’s oldest areas with brick streets, historical buildings, and lamps lining the streets. 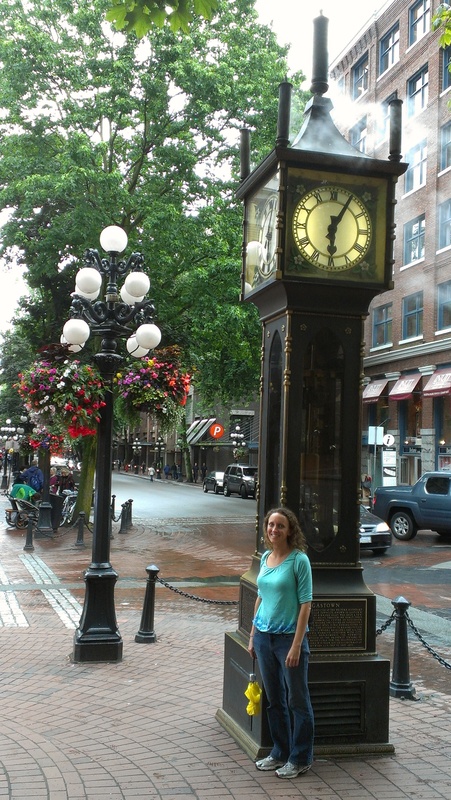 And let us not forget the ever-famous Gastown Steam Clock, which announces the quarter hour with chimes and blowing steam. Gastown is made up of boutique shops, trendy restaurants, nightclubs, galleries and the ubiquitous “tourist” shops. First on the agenda though was to find a place for lunch! My mind is never far from thinking about my next meal. 🙂 We checked out some restaurants and settled on The Black Frog, a small, hip place right around the corner from the Steam Clock. 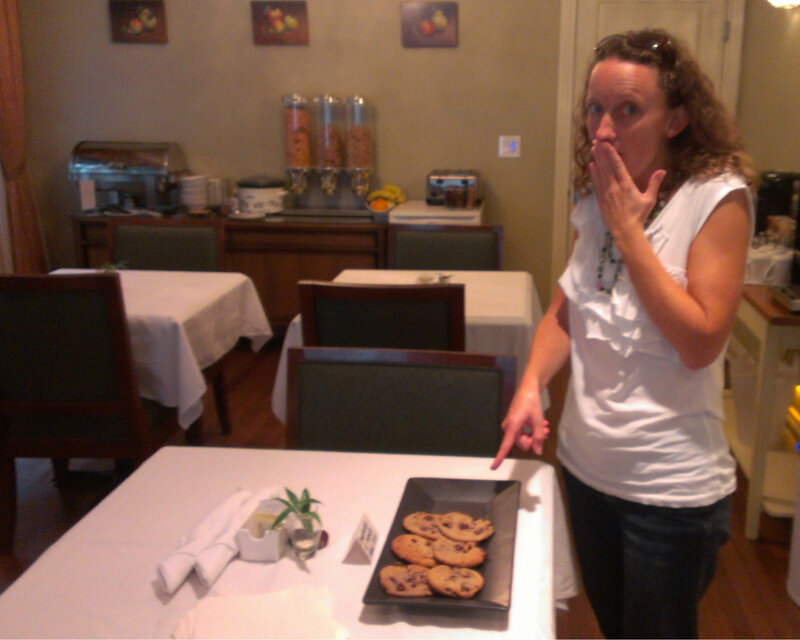 (I should probably mention that Teresa is terrified of frogs but none were spotted during our dining experience 😉 ). Continuing my obsession with all things salmon, I ordered a grilled salmon salad. Seriously, you can’t go wrong with salmon in the northwest! As the weather was becoming gloomier by the minute, we headed back to our warm B&B for the evening. 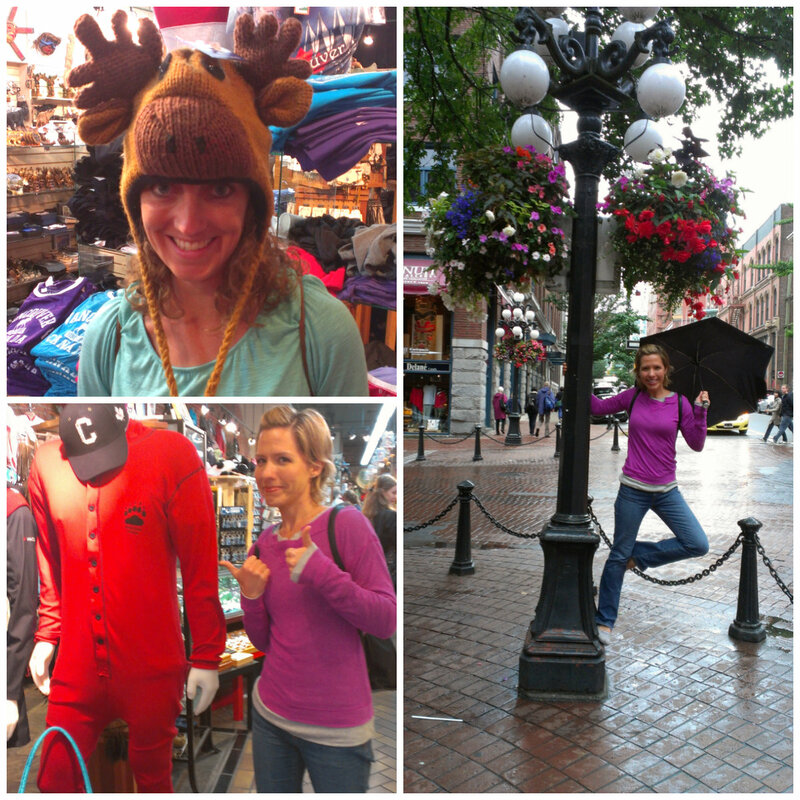 Stay tuned for Part 2 of my Vancouver adventures! Accommodations can sometimes make or break a vacation. My accommodations in Vancouver most definitely helped “make” my visit! The home itself was beautiful and our hosts were extremely friendly and helpful, giving us many tips and assisting us with purchasing bus tickets. Our room was perfect and the ensuite bathroom was large and recently updated. Breakfast each morning was very enjoyable with a few standing menu items (steel-cut oatmeal, various breads, fruit, yogurt, cereal) and daily “specials” (quiche, scones, French toast, omelets). Coffee, tea, filtered water and some breakfast items are available all day. I really appreciated that our hosts were very much into health and provided options for others who live the same lifestyle (almond milk, anyone?). The common rooms were lovely and cozy. And in the bedrooms they provide robes and slippers, bottle water, iPod docking station, flat screen TV, refrigerator, organic bath and shower products, free Wi-Fi…just fantastic amenities! 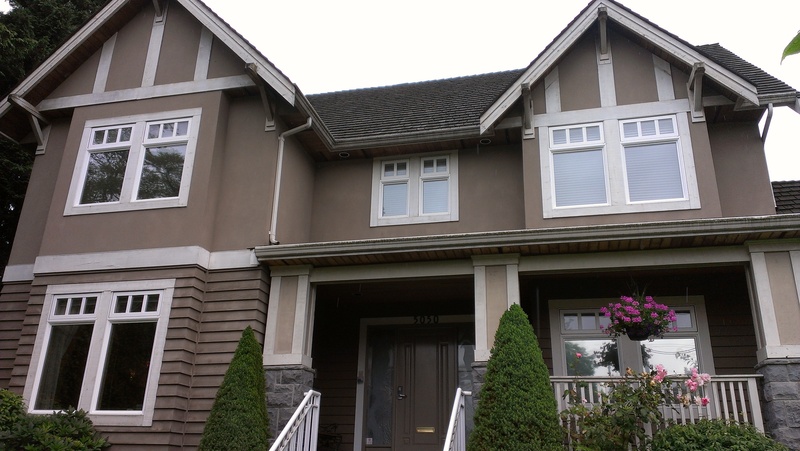 If you are ever in need of accommodations in the Vancouver area, I highly recommend Granville House B&B! Ok, Dena. You knew this was going to come…what about aunts, grandma and cousins? You only mentioned you live in a city with your “family” and no mention of us. DISAPPOINTEEEED!!! More seriously, tho, I love this, baby. Love that some of the picts are ones I took but you really do write well and just keep it up. I know millions of people will eventually read this and you will inspire them to travel, blog, eat healthy and just LIVE! Love you, Aunt Peggy. Thanks friend!! I wouldn’t have much to blog about if it weren’t for you! 🙂 Can’t wait for all of our future adventures! That’s it, you have to take your Dad to Vancouver. I love fresh fish, especially Salmon. You have to take me to the Bridges restaurant and the Black frog..Just leave off the frogs. Can’t wait until you post on your “healthy living post” You are the most healthy person I know and you have motivated me to get healthier. Love You! Thanks Dad!! Love you too! I will definitely have to take you to Vancouver some day!